Like all successful movements, Open Access (OA) has experienced a number of milestone events. Amongst the more significant of these were the creation of the physics preprint repository arXiv in 1991, the 1994 Subversive Proposal, the 2002 Budapest Open Access Initiative (BOAI), and the introduction in 2005 of the first Open Access Policy of the US National Institutes of Health (NIH). However, one of the more interesting but less celebrated events in the history of OA is surely the 2004 Inquiry into scientific publication conducted by the UK House of Commons Science & Technology Committee. The inquiry seems particularly noteworthy in the wake of this year’s controversial Finch Report, and the new OA policy that Research Councils UK (RCUK) announced in response. The 2004 Inquiry was remarkable for a number of reasons, not least the way in which it managed to explore a deeply divisive issue in an independent and fair-minded way, despite intense lobbying from all sides. This independence was all the more striking given that the Inquiry was itself a response to lobbying by OA publishers, origins that gave rise to a great deal of paranoid speculation. On discovering that the Inquiry was a product of behind-the-scenes agitation by OA publishers, for instance, subscription publishers became extremely jumpy, fearful that it could lead to government intervention that would impact negatively on their profits. In their turn, OA advocates became increasingly concerned that the Select Committee did not understand the issues, and that the Inquiry was therefore in the process of being “captured” by subscription publishers. The widening suspicion led to a great many rumours and conspiracy theories. 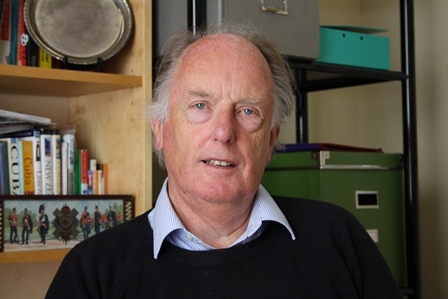 When publishing consultant David Worlock was appointed as “specialist adviser” to the Committee, for instance, OA advocates assumed that his appointment had been masterminded by subscription publishers, with the aim of ensuring that the Committee ended up concluding that the status quo should not be disrupted. What those outside the Committee and its support staff did not know, however, was that Worlock’s appointment was in part a tactical move intended to act as a counterweight to the fact that the Inquiry had been triggered by lobbying from OA publishers. Likewise, they did not know that another (more OA friendly) specialist had been interviewed for the position, but that the Committee had been more impressed by Worlock. Those caught up in the rumour mill also failed to appreciate that the role of a specialist adviser is not to provide opinions, draw conclusions, or write reports, but solely to offer insights and contacts based on their expertise. In this case, it was felt necessary to appoint an adviser because the Committee members had no personal experience of the publishing industry. As such, they needed someone with the necessary knowledge to answer the practical questions that they had about it. When recruiting advisers, select committee staff consult with in-house specialists, and then call up people in the field to ask for suggestions. In the event, when the Committee finally published its Report (on 20th July 2004), its conclusions surprised everyone. Subscription publishers, who had lobbied hard for the maintenance of the status quo, were surprised. OA publishers, who had hoped the Committee would call for wide scale adoption of OA publishing (aka “gold OA”), were surprised. Librarians, who were keen to see the cause of institutional repositories advanced but had no great expectations, were surprised. And researchers who had called on the Committee to support self-archiving (aka “green OA”) were likewise surprised. The surprise was that the Committee had recommended “all UK higher education institutions [should] establish institutional repositories on which their published output can be stored and from which it can be read, free of charge, online”. This was precisely what supporters of green OA (primarily researchers) had wanted the Committee to recommend, and precisely what subscription publishers most feared. For OA publishers, the surprise was that the Report recommended only that the research community “experiment” with OA publishing. In short, the Committee had concluded that OA should be embraced, but that green OA should be prioritised over gold — notwithstanding the fact that the Inquiry had been undertaken in response to lobbying by OA publishers. Contrary to the fervid rumours circulating amongst green OA advocates, therefore, the Committee appeared not only to have understood the issues, but had proved impervious to the barrage of lobbying that it had been subjected to throughout the Inquiry. Strikingly, those who had been responsible for most of this lobbying were the ones most disappointed with the outcome — that is, subscription publishers, learned societies, and OA publishers. For subscription publishers, the recommendation that published output should be posted in institutional repositories was bad news, but the proposal that self-archiving mandates should be introduced in order to ensure that that happened was very bad news. And while OA publishers self-evidently supported the principle of Open Access, they were generally unsympathetic to green OA, which they viewed as being competitive to gold. They too, therefore, were disappointed. Ironically, although most did not realise it, the real winners were researchers. There was, however, a sting in the tail. When the UK government responded to the Report it rejected most of the Committee’s recommendations, arguing that it was not appropriate for the government to “intervene to support one model or another”. But the history of OA is as full of surprise turnarounds as it is of dashed hopes, and there was a further twist to the story: Research Councils UK (RCUK) subsequently decided to follow the Committee’s advice, and in 2005 introduced a self-archiving mandate. Meanwhile, UK universities were busy setting up institutional repositories so that researchers had somewhere to post their papers. All in all, it seems fair to say that the 2004 Inquiry set an important precedent for the OA movement, and provided a compelling model for other countries and research institutions to follow, not least Harvard University — which adopted its first mandate in February 2008. (Harvard would of course have been influenced by the 2005 NIH Policy as well; but then the UK Inquiry would surely have influenced the NIH, which announced its OA Policy on February 3rd 2005). The Inquiry also provided a vivid demonstration of just how divisive the topic of OA is, and the considerable lengths that publishers (both subscription and OA publishers), as well as learned societies, are prepared to go in order to protect their businesses. Given the very different conclusions that the Finch Committee had reached earlier this year, I became keen to find out more about the origins and the process of the 2004 Inquiry. So I contacted Dr Ian Gibson, the then Chairman of the Science & Technology Select Committee, and Labour MP for Norwich North. To my delight, he agreed to do an interview with me. Gibson’s account of the Inquiry is fascinating, and anyone interested in the history of OA will surely benefit from reading what he has to say in the two-part interview I publish below. After speaking to Gibson, I found myself continuing to muse over why the Committee had made the recommendations it had — particularly in light of the repeated assertions of both subscription publishers and learned societies that in reality there was no access problem, and that the traditional subscription model remained the very best way of disseminating research. More significantly, they warned ominously that forcing OA on the world would destroy the peer review system, and damage the UK economy. However, I was left still wondering why Gibson and his colleagues seemed not to have taken the apocalyptic warnings very seriously, particularly in light of the fact that eight years later Finch had blinked. The most obvious difference between the two committees, of course, was that the Finch committee included publishers — including representatives from Wiley Blackwell, Springer and IoP Publishing. By contrast, select committees are composed of MPs alone. Three further thoughts occurred to me. First, as Gibson points out, the Committee included a number of former scientists, people who had published in peer-reviewed journals and who were — contrary to the fears of OA advocates — sufficiently familiar with the issues to take what they were told with a large pinch of salt. Importantly, they approached the issue from the perspective of researchers, not of publishers. Prior to entering the House of Commons, for instance, Gibson had been employed as a researcher in biological sciences at the University of East Anglia (UEA) in Norwich. More specifically, he specialised in the study of cancer — a field catered for by a plethora of scholarly journals, many of which have become prohibitively expensive. Gibson vividly remembers how each year he was approached by UEA librarians and asked to provide a list of biomedical titles that could be cancelled so that the library could better eke out its increasingly inadequate serials budget. As a result, Gibson ended up having to pay for some of the journals his research group needed out of his own research budget. As evidence of this attitude, Gibson reports that Elsevier, the largest publisher, had initially refusal to communicate with the Committee other than through a lobbyist, something previously unheard of in the world of select committees. Finally, we should note that Gibson is not the kind of person to unquestioningly toe the line. As an MP he was a committed Labour Party backbencher more interested in helping his constituents, and standing by his convictions, than climbing the greasy pole of politics. If he disagreed with the then Labour government’s policy on any topic he felt to be important, therefore, Gibson was inclined to vote against it — as he did over student top-up fees, for instance; and as he did over the extension to 42 days of the pre-charge detention limit for terrorism suspects. (Gibson’s voting record can be viewed here). Unsurprisingly, during Gibson’s chairmanship, the Times Higher described the Science & Technology Committee as, “The Committee from Hell” — a description that Gibson still relishes. “[W]e all enjoyed getting stuck into issues where there was a debate to be had,” he says proudly. Publishers would have been aware of Gibson’s reputation, and no doubt for this reason they appear eventually to have put more effort into lobbying the UK government than the Committee itself. Evidence of this surfaced in 2005, when OA advocate David Prosser made a Freedom of Information request for details of the meetings that the UK Parliamentary Under-Secretary of State for Science and Innovation Lord Sainsbury had at the time with the various stakeholders of scholarly publishing (See here). While their lobbying did not ultimately prevent RCUK from introducing a mandate, as proposed by the Committee, publishers simply revised their strategy — and began to signal that they were prepared to accept the inevitability of gold OA, so long as it did not impact on their profits. However, they redoubled their lobbying efforts against green OA, which they had concluded would inevitably mean lower profits if it was widely adopted. It was this new strategy that bore fruit in the Finch Report. Not only did Finch turn the 2004 Report on its head — by insisting that gold OA become the main vehicle for scholarly publishing, and green OA downgraded to a minor role — but it did so in a way that looks set to enable publishers to continue enjoying the same level of profits in an OA publishing environment as they have long enjoyed from subscription publishing. In short, Finch will allow publishers to embrace OA on their own terms and, importantly, to port their high profit levels to the new OA publishing environment. Since this is highly unlikely to solve the affordability problem, as OA advocates have always assumed it would, the fundamental problem afflicting the research community is unlikely to be addressed. It will simply be transposed to the new publishing environment. This is good news for publishers, but bad news for the research community. We should note in passing that dissent comes at a price. From the Labour government’s point of view, Gibson came to be seen as a dangerous rebel — or as the BBC put it in 2009, “a maverick left winger.” It was for this reason, says Gibson, that in 2005 he was removed as chairman of the Science & Technology Committee. And when in 2009 the expenses scandal engulfed British politicians, Gibson was hauled in front of the Labour Party’s National Executive Committee to be told that he was henceforth barred from standing again as a Labour candidate — an event one Gibson supporter characterised as a “kangaroo court”. Gibson responded by immediately standing down as an MP, forcing a by-election that saw Tory candidate Chloe Smith take the seat from Labour. A rebel to the end! As suggested earlier, there is much to wonder at in Gibson’s account of the 2004 Inquiry. However, for me the most telling moment was when he told me that researchers had failed to provide a unified or organised response to the Inquiry. Indeed, most researchers were blissfully unaware that the Inquiry was taking place. Those that did were generally uninterested in the topic, apparently assuming that it had little or no relevance to them. This is not surprising: even today not many scientists seem interested in embracing new ways of publishing their research papers, with most preferring to stick to the system they have inherited, despite the many failings they see in it. It is also apparent that researchers are generally happier when disagreeing with one other than when co-operating. For this reason, no doubt, even those who take an interest in OA have never made any serious attempt to create a central OA organisation, certainly not one driven by researchers — a fact that others and I have pointed out in the past (e.g. here and here). The problem with this morbid individualism, however, is that it has allowed publishers to consistently call the shots, and act in their own interests rather than the interests of the research community. In 2004, researchers were fortunate to have a bunch of strong-minded individuals on the Select Committee who were able and willing to press their case for them. By contrast, the recent Finch Committee was not only top-heavy in publishers, but those appointed to represent the research community appear to have allowed themselves to be swayed by the publishers. As a result, unlike in 2004, there was no independent authority to guide RCUK when it set about updating its OA policy. And since those drawing up the policy appeared not to understand the issues sufficiently well, they had little choice but to follow the recommendations of the Finch Committee. Meanwhile, they appear to be constitutionally incapable of acting in concert to pursue their own collective interests. One is reminded of the words of Gerald of Wales, who said of the Welsh during their 12th Century struggles with the Anglo-Normans, “If they would be inseparable, they would be insuperable”. But does not the resistance to the US Research Works Act (RWA) we witnessed earlier this year point to a new willingness to act in concert over these issues? By joining together researchers forced Elsevier to drop its support for a Bill that would have effectively outlawed green OA in the US. Perhaps not. That incident aside, the omens are not currently great, and discord appears still to be rife (see also here). Moreover, in pursuit of greater access, most OA advocates appear blind to the larger affordability problem. What they fail to appreciate is that, unless they take a greater interest in the issue of cost, gold OA looks set to prove as much of a financial burden on the research community as subscription publishing has been. In fact, it may turn out to be more costly, and have some highly undesirable consequences as a result. Those looking for a solution to the affordability problem, therefore, may be better to pin their hopes on the likelihood that other countries will spurn rather than copy the Finch/RCUK model. Here the omens seem to be better. Who knows, action taken abroad could eventually persuade RCUK to make a U-turn. Indeed, there is already some evidence of slippage in its position. 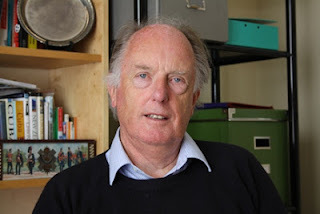 If you wish to read the two-part interview with Ian Gibson, please click on the link below. I am publishing the interview under a Creative Commons licence, so you are free to copy and distribute it as you wish, so long as you credit me as the author, do not alter or transform the text, and do not use it for any commercial purpose. To read the interview (as a PDF file) click HERE. Another brilliant whodunnit, Richard! Yet the mystery is still not altogether dispelled. Ian Gibson is clearly brilliant, and his heart is clearly in the right place. But although his 2004 Gibson Committee Report clearly had (and continues to have) enormous (positive) ramifications for OA worldwide, Ian himself just as clearly does not fully grasp those ramifications! Ian still thinks that OA is about somehow weaning authors from their preferred highly selective journals (such as Nature), even though the cost-free Green OA that his own Report recommended mandating does not require authors to give up their preferred journals, thereby mooting this issue (and even though the ominous new prospect of double-paying for hybrid Gold OA out of shrinking research funds favoured by the Finch Committee Report does not require authors to give up their preferred journals either). Research access, assessment and affordability are being conflated here. Green OA does not solve the affordability problem directly, but it sure makes it much less of a life/death matter (since everyone has Green access, whether or not they can afford subscription access). And of course that in turn makes subscription cancelations, publisher cost-cutting, downsizing and conversion to Gold much more likely -- while also releasing the institutional subscription cancelation windfall savings to pay the much lower post-Green Gold OA cost many times over. This leaves journals' peer-review standards and selectivity up to the peers -- and journal choice up to the authors -- where both belong. Giving up authors' preferred journals in favour of pure Gold OA journals was what (I think) BMC's Vitek Tracz and Jan Velterop had been lobbying for at the time (and that is not what the Gibson Report ended up recommending)! So I think if you really want to get to the heart of the mystery of how the Gibson Report crystallized into the epochal recommendation for all UK universities and funders to mandate Green OA you will have to dig deeper, Richard, and interview its author, Emily Commander, who -- as Ian indicates -- was the one who crafted it out of the cacophony of conflicting testimonials. I agree with what Stefan Harnad says here, but doesn't this imply that Green OA is a temporary expedient ultimately dependent on TA (toll-access) publishing such that, as TA journals get cancelled and disappear, so too does Green OA disappear--unless researchers take it upon themselves to manage the peer-review system as publishers do now--and then Gold OA will eventually take its place anyway? Plans by universities and research funders to pay the costs of Open Access Publishing ("Gold OA") are premature. Funds are short; 80% of journals (including virtually all the top journals) are still subscription-based, tying up the potential funds to pay for Gold OA; the asking price for Gold OA is still high; and there is concern that paying to publish may inflate acceptance rates and lower quality standards. What is needed now is for universities and funders to mandate OA self-archiving (of authors' final peer-reviewed drafts, immediately upon acceptance for publication) ("Green OA"). That will provide immediate OA; and if and when universal Green OA should go on to make subscriptions unsustainable (because users are satisfied with just the Green OA versions) that will in turn induce journals to cut costs (print edition, online edition, access-provision, archiving), downsize to just providing the service of peer review, and convert to the Gold OA cost-recovery model; meanwhile, the subscription cancellations will have released the funds to pay these residual service costs. The natural way to charge for the service of peer review then will be on a "no-fault basis," with the author's institution or funder paying for each round of refereeing, regardless of outcome (acceptance, revision/re-refereeing, or rejection). This will minimize cost while protecting against inflated acceptance rates and decline in quality standards. There's only an 'affordability problem' with Gold OA if one assumes that researchers will continue to publish in the journals that they have traditionally have. I'm hoping the new RCUK policy will drive researchers to take a cost-savvy attitude towards publishing making use of the countless free-to-publish in journals (e.g. Journal of Machine Learning Research, Acta Palaeontologica Polonica, eLife...) and the low-cost Gold OA journals (e.g. BMC Research Notes, Copernicus Publications journals, Hindawi journals, MDPI journals, SIGS, JAMES, Pensoft journals...). Education & awareness-raising of these 'alternative' journals is key. Academics also need *a lot* of reassuring that they won't be judged on the journal Impact Factor of where they publish. From most of the academics I've talked to about this it seems to be *drummed* into them at a very deep-level and will be hard to change but that's the thing holding back OA at the moment, not this new RCUK policy (which I'm cautiously supportive of tbh). PS I totally agree with Sandy Thatcher's comment above. Green OA cannot exist without journals, or perhaps more detailed than this - it can't exist successfully without trusted mechanisms of peer-review (the key element that journals provide, but as Priem and others have noted we could decouple the scholarly journal, and separate the peer-review process from the integrated set of services that traditional journals provide, etc...). I would take the green OA movement more seriously if there were prominent and trusted mechanisms of peer-review that could be applied to (& bought for?) green OA deposits. 2. "If and when global Green OA should go on to make subscriptions unsustainable (because users are satisfied with just the Green OA versions) that will in turn induce journals to cut costs (print edition, online edition, access-provision, archiving), downsize to just providing the service of peer review, and convert to the Gold OA cost-recovery model. Meanwhile, the subscription cancellations will have released the funds to pay these residual service costs." 4. Because of the Gaussian distribution of virtually all human qualities and quantities, research quality and quality-assessment is not just a 0/1 pass/fail matter. Research and researchers need the much more nuanced and informative hierarchy of quality levels that journals afford. 6. This hierarchy is already provided by the known track-records of journals, and can and will be enhanced by a growing set of new, rich and diverse metrics of journal and article quality, importance, usage and impact. What authors and users need is not just a "Gold OA plot" but a clear sense of the quality standards of journals. 7. I think it is exceedingly unrealistic and counterproductive to advise researchers to simply give up the journal with the known and established quality standards and track-record for their work in favour of another journal simply for the sake of making their paper Gold OA (let alone to free it from the tyranny of the impact factor) -- and especially at today's still vastly-inflated Gold OA "publishing fee," and while the money to pay for it is still locked into institutional subscriptions that cannot be cancelled until/unless those journal articles are accessible in some other way. 8. That other way is cost-free Green OA. And it is global Green OA self-archiving of all journal articles, published in the journal with the highest quality standards the author's work can meet -- not a pre-emptive switch to new journals just because they offer Gold OA today -- that will make those journal articles accessible in the "other way" that (i) solves the accessibility problem immediately, (ii) mitigates the affordability problem immediately, and (iii) eventually induce a transition to Gold OA at a fair and affordable price. 9. Today -- i.e., pre-Green-OA --Gold OA means double-pay -- whether for hybrid Gold OA, or for pure Gold OA while subscriptions must still be paid too. 10. It is short-sighted in the extreme to wish authors to renounce journals of established quality and pay extra pre-emptively to new Gold OA journals for an OA that they can already provide cost-free today through Green OA self-archiving, with the additional prospect of easing the affordability problem now, as well as preparing the road for an eventual liberation from subscriptions and a leveraged transition to affordable, sustainable Gold (and Libre) OA. "I'm hoping the new RCUK policy will drive researchers to take a cost-savvy attitude towards publishing making use of the countless free-to-publish in journals (e.g. Journal of Machine Learning Research, Acta Palaeontologica Polonica, eLife...) and the low-cost Gold OA journals (e.g. BMC Research Notes, Copernicus Publications journals,"
Why on earth would anyone do that? People go into huge amounts of debt to study at Harvard, Yale or Princeton. Surely, a few thousand more don't matter if the publication raises your chances of getting a job? Show me the market without a luxury segment and explain to me why it is similar to academic publishing and I'll trust CNS won't charge 10-20k (as they claim is their cost) per article if there were ever universal gold OA.